Working in rural Democratic Republic of Congo has been one of the most challenging and rewarding field sites I have yet experienced. 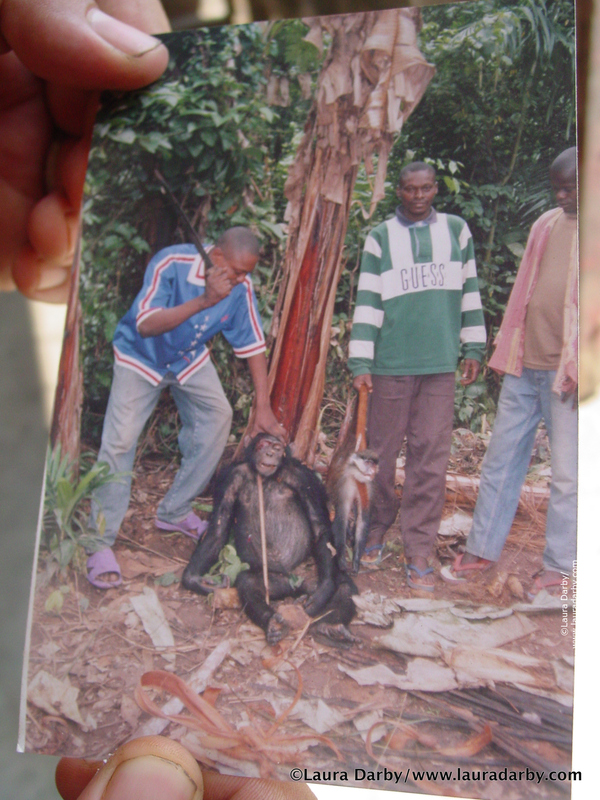 The Bas-Uele District is home to an unknown number of chimpanzees and other primates, and its isolation has limited the amount of research that has been conducted there. It is imperative that more research be initiated there. Communication and travel impediments in rural DRCongo have left it virtually unknown to science. The mystery of this region has manifested in the wildly erroneous reports about the Bili Ape: that they were proof of bigfoot, howl at the moon, or were chimpanzee-gorilla hybrids. Of course none of these claims are true, but speak to the need for scientific attention in the region. 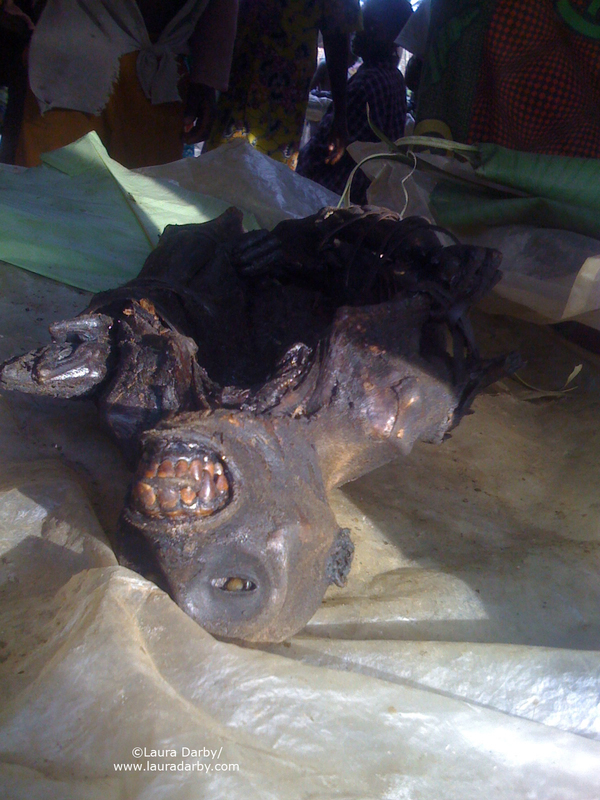 Even more important, the consumption of primate bushmeat in the region is widespread, and includes the slaughter of many chimpanzees, an established pathway of disease transmission between humans and chimpanzees. 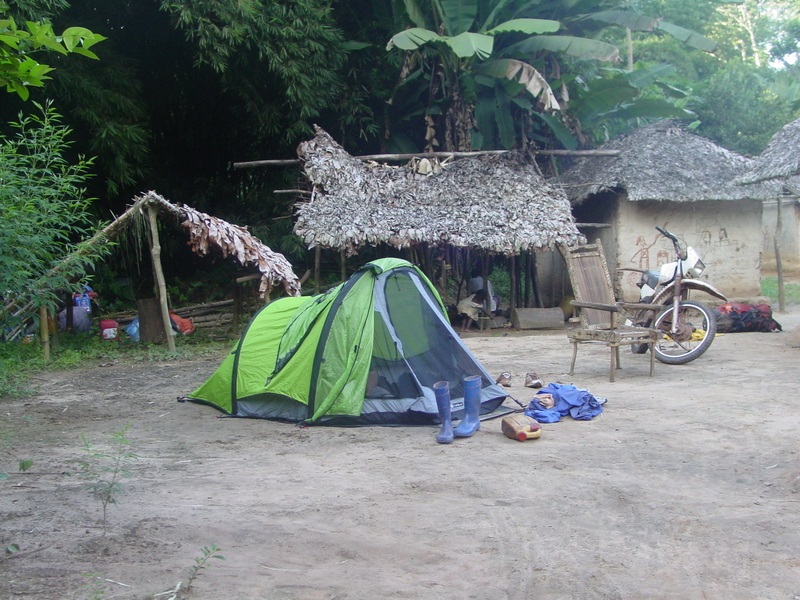 In collaboration with my colleague TC Hicks and the Wasmoeth Wildlife Foundation, I began my research in 2008 using the town of Aketi as a basecamp. 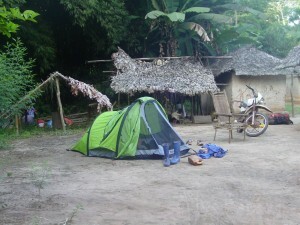 Only ~500km from the closest “center” of Kisangani, it took approximately 6 12-hour days by motorbike to reach Aketi, traveling along the main “roads” that were impassable by car. 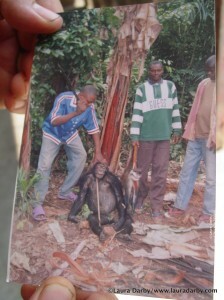 Local government, largely unsupervised, has a difficult time policing the wildlife violations that are part of daily routine in the area, so the importance of international attention becomes greater as it will place additional pressure on authorities to maintain national laws and guidelines pertaining to the protection of primates. In a study period of slightly over a year, my colleagues and I encountered 42 chimpanzee orphans, indicative of a widespread decimation of chimpanzee populations in the region.